A $10m portfolio, 72 properties and $700,000 in rental income – all started with a $30,000 wage at age 18. Meet Australia’s new property titan. In mid-2009 Nathan Birch readied himself for a day that would change his life. In some ways it wasn’t too different from his normal routine. The 24-year-old woke up, shaved and ate breakfast. He dressed for work and ran a comb through his hair. Before heading out the door, he gave himself one last look in the mirror. His reflection showed the life he had lived up until that point. Here was an ambitious man, suit and tie and every bit the model of a young, hard-working employee. He gazed upon this image as if it was the last time he’d see it. This, he realised, was what he was throwing away. Nathan adds that some predictable questions followed. Was he crazy? How would he support himself? What if something went wrong? Was he really throwing away a decent salary to do … nothing? It made Nathan pause for thought. How had this all become possible? Nathan was born the youngest in his family and from an early age noticed that he was a little different from those around him. At age 13, he started developing a unique obsession, one that was totally out of fit with other boys his age. While they chased girls, sports teams, cars or comics, Nathan’s passion was single minded – property. “My brothers were much older than me and around this time they were starting to buying houses. I stumbled upon a Homes Pictorial magazine and started liking it. I kept reading the magazine and began picking up other issues from the shops whenever I could. I used to think to myself how cool it would be to own a property. It just became an addiction from there. People have hobbies and that was mine,” Nathan says. Unfortunately, his interest in property came at the expense of everything else. Nathan admits that he had terrible grades in school, and neither enjoyed nor had any interest in it. When it came time to choose a career, the young Nathan decided to opt out. At age 17, having just finished Year 12, he thought it would be pointless to follow any pre-determined path to a profession. This put going to university totally out of the question. Following this, Nathan took a job selling advertising, working nights and weekends at a pub. It left him exhausted. “I remember one year, I only had seven days off in the entire 12 months,” he says. In the meantime, Nathan directed almost all his money into saving so that one day he could start buying properties. “I used to be the biggest tight arse you’d ever meet,” he laughs. “I’d skimp on food and buy the bread that had gone slightly off just to save a couple of dollars and have more to put towards property. Die hard as it was, Nathan’s saving strategy worked. 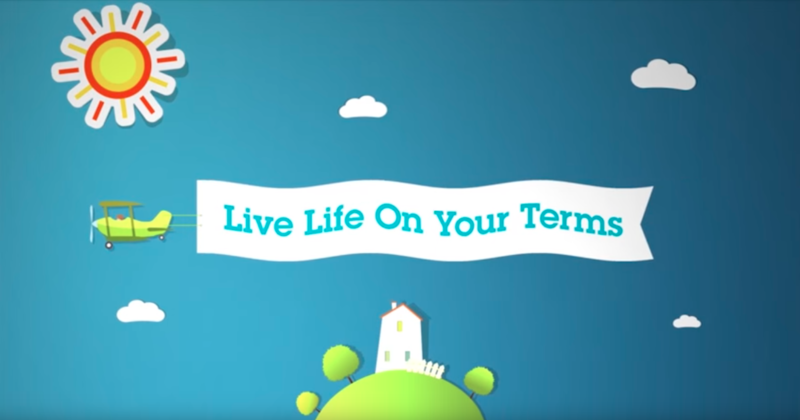 Having already saved up a lot of money while working part time jobs as a school student and with his subsequent full-time jobs netting him even more savings, he had enough money to put down a deposit on his first property at just 18-years-old. 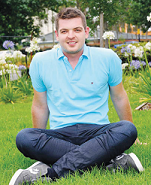 Nathan’s first property purchase was in Mount Druitt in Western Sydney. He had grown up around Sydney’s Parramatta area and knew the location well. It was also in line with his budget, but had rents high enough to give him a decent flow of cash. Looking to boost your own portfolio? Get expert help here. It’s a strategy Nathan has used ever since. Initially with a goal to purchase 10 properties by age 30, Nathan sought out high yielding properties. They had to be in lower priced areas that looked assured of property price growth, where he could use his negotiating and research skills to buy below market value. With his staunch savings regimen intact, Nathan soon had enough money to put down a deposit on his second property – again in Mount Druitt. The Western Sydney area, in fact, would be the location of his next three properties, also purchased using a 5% deposit that the bank was happy to provide him with because the cash flow on each property was good. By the time Nathan was looking at acquiring his sixth investment, he was faced with a problem. “When I bought my first property I was earning about $30,000 a year, so I was able to get a loan from the bank. I couldn’t see how I would be able to buy more than one property then, but I bought it and just did what I could to increase the cash flow and save up for the next one. I worked harder and harder, pushing myself to be able to purchase more properties, but my family was getting concerned. “My family didn’t like debt. Even today they think I am silly for buying lots of properties, but back then they were scared for my wellbeing. My mum urged me to stop. She said, ‘Nathan, you shouldn’t buy more’. It turned out that Nathan had built up enough equity at this stage, thanks largely to a small renovation project he undertook on his first Mount Druitt property, to be able to tap into $50,000 worth of equity. This he used to leverage into two more purchases, once again in Western Sydney. It was thus that he had acquired eight investment properties, touching equity only once. It also helped that by the age of 21 he was earning a lot more than when he started buying property. After clawing his way through the corporate world, Nathan was getting close to earning $100,000 a year in income, which further boosted his ability to keep on saving. His growing confidence meant that by the time Nathan had gone over 10 property purchases, he felt it was time to branch away from the Western Sydney area. His next targets included Orange, Tamworth and other regional NSW towns. The strategy – buying under market value and focusing on cash flow – remained the same. Nathan admits that the money was good. He admits that he should have felt happy to be earning a great salary for a then 24-year-old. It just wasn’t him. “I never liked the high pressure environment. It was time for a lifestyle change. “Looking back, that moment when I told my boss I was quitting, I don’t think he was fully prepared. How many 24-year-olds say they are quitting because they’re retiring to live on their own income stream? I don’t know. I don’t think there are many. “Of course, it wasn’t like people at work hadn’t known about my investing. That was all I talked about, and that’s the thing. I don’t claim to be the smartest guy around. I’m sure there are lots of people who are much more intelligent than I am. What I do have is passion. I love properties, I love being around other people who love properties. I like buying properties and I like making money. Nathan’s story might have ended there if it weren’t for an ambition thirst for more. Though he had planned never to work a job again, there was no way Nathan could bring himself to walk away from property investing. Fast forward to today and Nathan Birch has a property portfolio to truly marvel at. 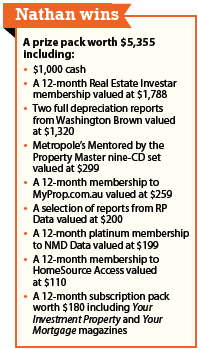 The total value of his property portfolio stands at over $10m. Of this, he has $5m in net equity and gets $700,000 in rental income per year. Taking away his mortgage obligations, this leaves him with a passive income stream of $200,000.